Ole Miss Choir Members Meet President Obama! 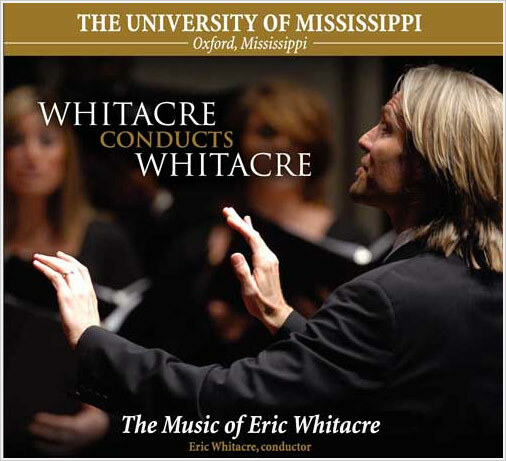 On December 12, 2012, twenty-five members of the University of Mississippi Concert Singers performed seasonal music in the White House for a group of invited guests. The choir sang holiday music over a period of four hours. That was predetermined and expected. What was not expected was an opportunity to meet the President of the United States, Barack Obama. One of the student participants, Katie Edenfield, captured the moments in an essay she wrote upon the group’s return to Ole Miss. Katie is a graduate student in vocal performance. “Sing we now of Christmas, sing we all noel…” Our voices echoed through the crowded hall. The guests, who had been filing out, stopped to hear us sing before they left. Though our tired arms shook from holding our binders out, our excitement could not be quenched. We turned eager eyes to our conductor, who silently gave us the permission to sing as loudly as we wished. It was our last song to sing in the White House, and we had just met the President of the United States of America. We had never sounded better. Only minutes before, we had found ourselves in the Diplomat Reception room with the President’s personal photographer who was setting us up for our official picture with the President. It was surreal. We were told to stand when he entered, and that if he asked us to sing, only a 30-50 second excerpt was appropriate. We were also told that it wouldn’t be out of the ordinary for President Obama to meet and shake hands with each person individually. Hands flew down to our sides, and we all proceeded to wipe our sweaty palms on our black dresses and tuxes. We all chattered excitedly, awaiting the President’s arrival. Eyes darted from door to door, following the Secret Service men and the interns who were running around making things happen and probably preventing things from happening. It felt like a movie. We knew he was coming and yet, when he entered, we were all caught off guard. “Welcome, Ole Miss!” the President called, exuberant and charismatic. It was all I could do to remember to stand up! He was amazing. I watched him meet everyone, shake all the hands and look each person in the eye as he repeated their names. I saw him laugh at something Betsy said, clap Kathleen on the shoulder, saw him squeeze past the boys in the middle row to take his picture with us. He casually joined our group as if it was the most natural thing in the world for him to do. And we just smiled, with the President in the middle of our choir, like it was an everyday occurrence. Though he must have been terribly busy, he did not rush us and didn’t seem in a hurry to leave. Then he asked us to sing him something. This is what we had been waiting for! Though we were uncertain where to look, whether at our conductor or at our audience of one, our voices were confident. It was the most joyful first verse of “Joy to the World” that anyone had ever heard or sung. We glowed. When we stopped, the President said, “Well, I was about to join in, but I didn’t want to ruin Ole Miss’ reputation!” We laughed. He wished our families a very Merry Christmas, and then, as swiftly as he had appeared, he was gone. As we moved back to the risers to retrieve our folders for the last set, we floated, in a daze. “We just met the President,” we whispered to each other in disbelief. Not only had we sung in his house all day long, we had met him, had shaken his hand, had heard him say our names. At that moment it didn’t matter what our political leanings were or how we had voted in the election—he was our President. And we were honored that he would take the time to meet us. That moment stands out as one I’ll always remember.